Mitragyna Speciosa, or Kratom, is a type of tropical evergreen tree native to southeast Asia. Before delving into the red strain of the plant Kratom, it is important to understand that there are three main types: red Kratom, white Kratom, and green Kratom. This is referring to the color of the veins in the plant. Red vein Kratom has more of a relaxing and sedative effect than white vein and green vein Kratom. Red Indo Kratom is a strain of Kratom that can be used for analgesia and sedation; however, this is not the only use for this strain of Kratom. Red Indo Kratom has many beneficial uses and effects, and is used more than both white Kratom and green Kratom combined. This is an amazing plant, and has been proven to be an aid in alternative medicinal practices. As found from wekratom.com, listed below are some of the most common uses for red Indo Kratom. It is commonly agreed upon that Red Indo Kratom is the best strain of Kratom when using for relaxation purposes. Unlike its counterparts, Red Indo Kratom has a calming and sedative affect. When attempting to use Kratom for relaxation, it is especially important to pay attention to the strain you are using; white Kratom has similar effects to coffee, and will aid in focusing and concentration; it would be detrimental if trying to use as a catalyst for relaxation. If it is your first time using Kratom, it is highly recommended starting out with a smaller dose and building it up as needed, to monitor how the plant will affect you. Red Kratom is also an excellent choice for a muscle relaxer, which tends to go hand-in-hand with using it for its relaxation properties. As with any strain of Kratom, it is important to take the plant or powder in small doses, to gauge how it will affect you. As mentioned above, using Kratom can be beneficial to relieve the soreness of muscles. It is also a great natural pain reliever. Anyone with chronic pain understands the skepticism involved with using chemical drugs to treat pain. That being said, many sufferers from chronic pain have unfortunately only been able to turn to the chemicals found in over the counter pain relievers and opioids. However, Red Indo Kratom has been shown to have a beneficial effect on those suffering from pain. This is especially helpful to those who have only been able to find relief from high chemical opioids, which place a high strain on the liver and can create a dependency, leading to addiction. Red vein Kratom is not only good as a natural pain reliever, but also as an alternative in treating addictions. Many individuals have found Kratom to not only help with pain, but also shown to increase mood and productivity. This is so important; we all have been there. Sometimes chronic pain can be so debilitating that it unfortunately brings with it depression and a loss of interest in day to day activities. The fact that there is something out there that can help with not only relaxation and aid sleep, but also as a viable pain reliever is such a huge attracting factor. Later on, in this article, we will expand on the benefits of using Kratom for depression. As mentioned earlier, Red Indo Kratom has many relaxation properties when used. With relaxation, comes an ability to battle insomnia for a more restful, balanced night sleep. As we all know, it is so important for everyday life to be able to get a full nights’ rest before conquering the day. Red Indo Kratom can be instrumental in achieving this, especially for those who also suffer from depression. When depressed, getting out of bed in the morning can be a pain in and of itself. This can be due to many factors, such as not being able to sleep, your mind racing, or just not seeing any reason to wake up and get out of bed in the morning. Kratom has been proven to help with this, and is a powerful mood enhancer while still being able to aid in relaxation and pain management. Anxiety affects a major portion of the population, and the drug industry has profited millions of sufferers of not only anxiety, but depression as well. Red Indo Kratom has also shown to have a calming effect, and this has been proven to aid in the reduction of anxiety. We can feel anxious for many different reasons, and understanding why is the first step in reducing that anxiety. Coupled with exercise, a balanced diet, and the appropriate amount of nightly rest, Red Indo Kratom can be so beneficial to your overall heatlh. That being said, anxiety has many forms, and I know personally sometimes I may feel anxious for no apparent reason. This is where Kratom has come into play in my personal life and really truly helped. If you’re like me, and an uptight and anxious person by nature, you may indeed see the benefit in red Kratom to help ease your mind. Red Indo Kratom is not only used for anti-anxiety and relaxation, it can also play a role in aiding with stress relief. This may not come as a surprise, due to its sedation and relaxation properties. Sometimes when we are stressed, using anti-depressants or chemicals to help cope can make the problem worse. It is a well-known fact that chemicals have multiple side effects, and can be a strain to vital organs. Red Kratom is a natural stress reliever with no chemical dependency or addictive properties. In moderation, this strain of plant does not hinder your concentration or focus, however like many chemical drugs can. This is the most common and traditional way to ingest the Kratom plant to assimilate with your bloodstream. Rolling up the leaves and chewing on them will make the plant’s alkaloids mix with your mucosa, and will enter your bloodstream relatively quickly. However, when using this method, you will need to ensure that the leaves are relatively fresh. That being said, you can also chew the dried tea leaves, but the process of drying them may lead them to have a bitter taste. Making a tea may be a better option for those who disagree with the taste found in Red Indo Kratom. Making a tea from the Kratom plant is another very easy and effective way to ingest the plant. There are a couple of ways to make a tea, using either the Kratom leaves or powder. To make a tea with the Kratom leaves, simply add the desired dosage (remember to start out small) to boiling water, and let steep for anywhere from 10-20 minutes. Alternatively, you may simply add some Kratom powder to the boiling water until dissolved. Arguably, the quickest way to ingest Kratom powder is to simply swallow the powder, which is done in one of two ways. The fastest way is to take the desired amount of the powder, place it in your mouth then take a big sip of water. Then you would just swish, and swallow. This method can have a learning curve, and is not useful for everyone. An easier way would be to use Kratom Powder Capsules. However, these can be pricy. The Red Indo Kratom powder can also be ingested by adding it to foods and beverages, such as water, juice, or sauces. 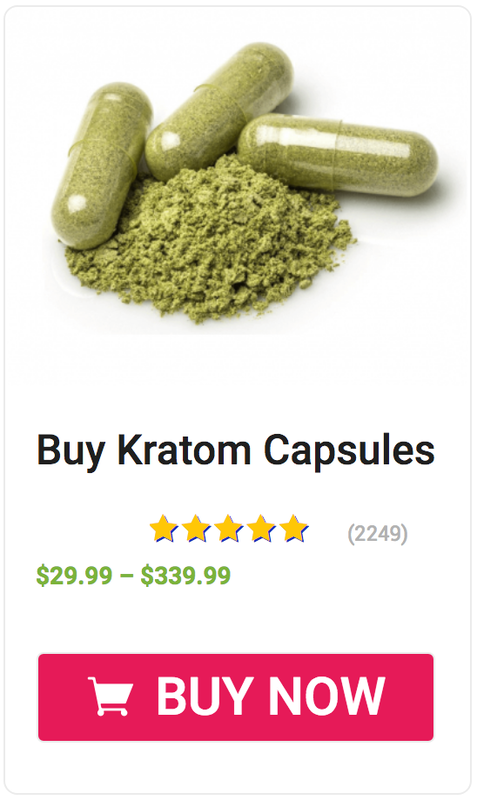 This should be done with caution, however, as the Kratom powder does tend to be quite bitter. This does not necessarily mean that adding it to foods should be avoided, but to try to balance the bitter of the powder with the particular dish or beverage. Is Red Indo Kratom Legal? Even though the effects of the Red Indo strain of Kratom have shown to not only improve mood, relieve depression and anxiety, but additionally as a potent pain reliever it is not FDA approved. It is well known that Kratom powder has been used been used in Asia for thousands of years as an alternative medicine remedy. Due to this fact, clinical research on Kratom has not yet been completed. Keep in mind, as time goes by and the use of Kratom leaves and powder is more widely accepted, the states that are currently banning the use of this healing plant can change. To re-iterate, please make sure to keep in mind that with any herbal supplement it is important to start out slow to see how it will affect you before increasing the dosage. Especially with the red strain of Kratom, as this has such a relaxing and insomnia-fighting affect. As we have gone over, there are many different beneficial uses for the Kratom tree. Not only just the Red Indo strain of the tree, but it is important in understanding the uses and benefits. If you are experiencing any type of insomnia or depression, it would not hurt to give Red Indo Kratom a try. Especially if you are averse to putting your faith in the chemicals that can be found in so many of the drugs, we as a society now rely heavily on. As with any new drug or product you may be using for the first time, it is still important to start out slowly, to see how it will affect you. Kratom is no exception, but you can rest assured knowing that Red Indo Kratom is a natural product of the earth. If struggling from alcoholism or opioid addiction, this particular strain of Kratom can assist with this as well. That being said, this should not be a substitute for substances, but rather a way to assist in becoming a healthy, happy, well balanced individual.